War novels and war movies are a genre, and military settings in peacetime, as well - SOLDIER IN THE RAIN, or REFLECTIONS IN A GOLDEN EYE, for example - but there's a special subset, stories about dependents, military families and their dynamics, their tensions and dislocations. The gold standard, most military brats seem to think, is Pat Conroy's THE GREAT SANTINI. I have to say, though, that I've never warmed up to Conroy as a writer. The one book I like is THE LORDS OF DISCIPLINE, and that itself is another genre subset, the military academy book, Calder Willingham's END AS A MAN, Lucian Truscott's DRESS GRAY (my personal gold standard in this category). And meanwhile, Conroy's also among the fallen, having died only this past week, so it feels mean-spirited, or anyway inappropriate, to damn him with faint praise. In any case, people who grew up on the inside, with career military families, will tell you THE GREAT SANTINI sets the bar pretty high. Sarah Bird, who's an Air Force brat, calls it the Rosetta Stone. Sarah Bird's sixth novel, THE YOKOTA OFFICERS CLUB, came out in 2001, so I'm a little late to the party. Her dad, a flyer, was stationed at Yokota AFB, outside Tokyo, and later at Kadena, on Okinawa. He flew recon missions, which I take to mean RF-101 Voodoos and RF-4C's. 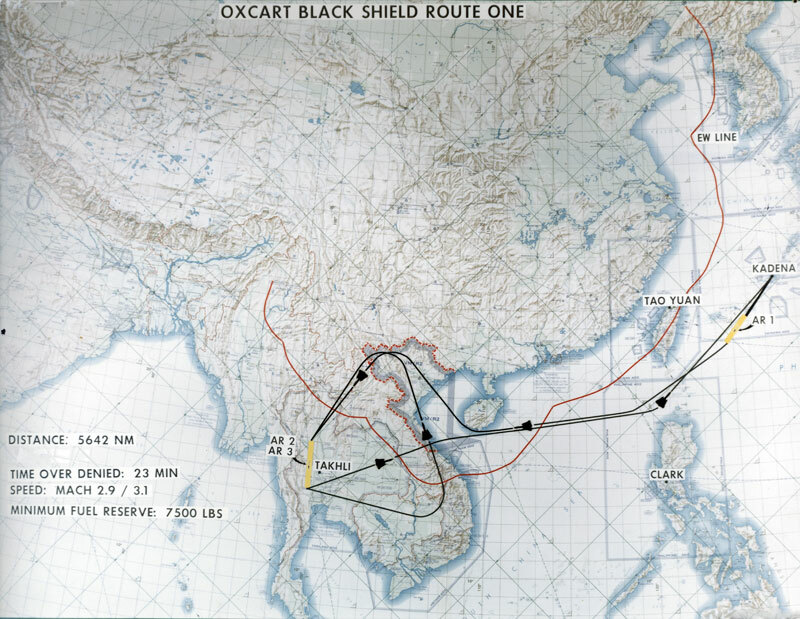 The target was North Viet Nam. Nine out of ten crews in his squadron were eventually lost, he was awarded the Distinguished Flying Cross. Sarah says it was years before she realized his DFC wasn't just given for perfect attendance. 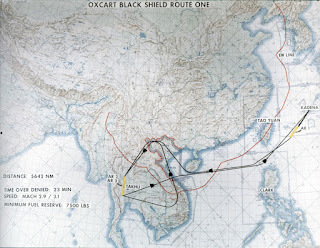 As an aside, I was once penciled in for flight status out of Yokota, an assignment that never materialized, but it would have meant flying ELINT missions out over the South China Sea and down along the coast of North Viet Nam, lighting up the SAM sites as we came into range. Which leads me to suspect that Maj. Bird flew what were known as Ferret Flights. He never explained to his daughter exactly what he did, it was classified, and she filled in the blanks after the fact. My point, here, is that I've got some inside dope, but it's actually not entirely pertinent. As a matter of fact, in the novel, the mysteries of the dad's duty rotation, and sometime absences, is part of the fabric of uncertainty his family lives with. However. What the guy does is both central, and secondary. THE YOKOTA OFFICERS CLUB is mostly about the oldest kid, Bernie, for Bernadette, and her relationships with the other kids, and with her mom. The military environment is a constant presence, but it's a gravitational influence, like a planet in unstable orbit. Even if you don't see it, you feel its tidal pull. This is the thing I liked best about the book, the sense of immersion, and at the same time, apartness, or isolation. Bernie's center of gravity is her immediate family, but although she's in this larger institution, the military and the airbase where they're stationed, she's not entirely of it. She says to her sister Kit, at one point, You know it's all transitory, you have to detach, how can you take it seriously? Meaning, the next assignment takes you to a new installation - a new school, a new set of people, a new kind of landscape to navigate, and yet the same constraints of behavior, and how you present yourself. And the rules are all the more restrictive because they're unspoken, half the time. You absorb it by osmosis. This is a life experience I'm guessing you can't really inhabit unless you've been there. 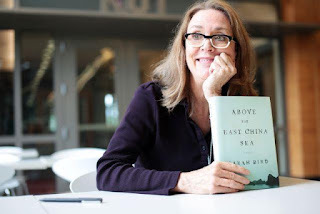 You can come close, you can approximate it, and Sarah Bird does a pretty amazing job of making it enormously vivid and convincing, with never a false note, but all the same, no matter how well you describe it, or reimagine it, breathe it in and breathe it out, some part of it will elude the rest of us. She says, Sarah, that she's perhaps paying back an obligation. She calls the novel a Valentine. In an interview, she remarks that "All of this made us [her family] something of our own little tribe of nomadic recluses, outsiders within this greater tribe of outsiders permanently passing through America." I find it a very telling observation that she pictures the serving military as outsiders, and I think she's right. Permanently passing through. In, but not of. Don't mistake me, though. THE YOKOTA OFFICERS CLUB is anything but a niche novel. I'm obviously relating to it on some kind of metabolic level, simply because it rings so true to me - and that's not to suggest you have to see it through my eyes. It opens a window on an unfamiliar world, and makes it seem utterly intimate and organic. Partly this is Bernie, who's a wonderfully engaging narrator, but also the choice of exact detail, although coming at you from an odd angle, and not quite what you expected. Then again, the book as a whole works against your expectations. That's its charm. And there's the word I've been looking for all along. Charm. In either sense, too. Both the goofy, flirty, adolescent voice, and the sense of casting a spell. It holds you captive.